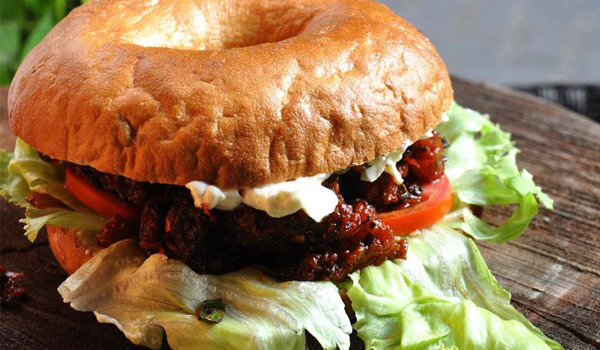 When it comes to Mumbai’s must-visit restaurants, don’t forget to add The Bagel Shop to your list. Bagels in Mumbai may sound surprising…but this local landmark goes well beyond a casual place to fill up on carbs. Opened 10 years ago, The Bagel Shop, located in the city’s trendy Bandra neighborhood, has long functioned as a creative hub where writers, filmmakers, DJs, entrepreneurs and expats gather. 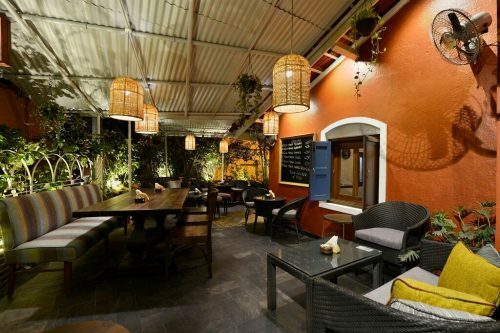 Sandwiched (pardon the pun) between the Carter Road Promenade and posh Pali Hill, its sunlit terraces are packed with laptop warriors, and its coffee is some of the best in the neighborhood. And its food? Bagels certainly are one of the menu’s main focuses, but The Bagel Shop’s eclectic, East-meets-West cuisine also goes well beyond breakfast. Anil Kably, the restaurateur behind the now-iconic eatery, recalls that when the idea of a bagel cafe was proposed to him in 2004, he thought it was a joke. Kably and his Dutch business partner Matan Schabracq were riding high on the success of Zenzi, their late-night Bandra venue known for its electronic music DJs. It was Schabracq’s idea to open up a breakfast hangout. “I was sceptical. But Matan was insistent that at the end of the day, it’s just a sandwich. He said – you have the money, give it to me! So I gave it to him,” Kably recalls, laughing. The Bagel Shop was immediately successful among the neighbourhood’s creative and expat sets; housed in what was once a garment factory, the relaxed space is well-suited to lazy breakfasts. 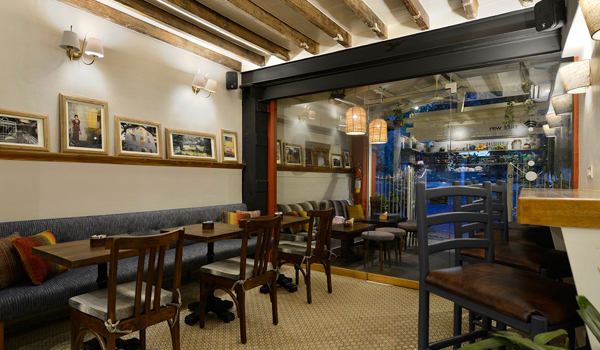 While the menu includes classics like lox and cream cheese bagels, some of the more popular items – including a Goan chorizo bagel sandwich – reflect local tastes. But it’s The Bagel’s Shop’s just-debuted evening menu that’s winning it new acclaim. 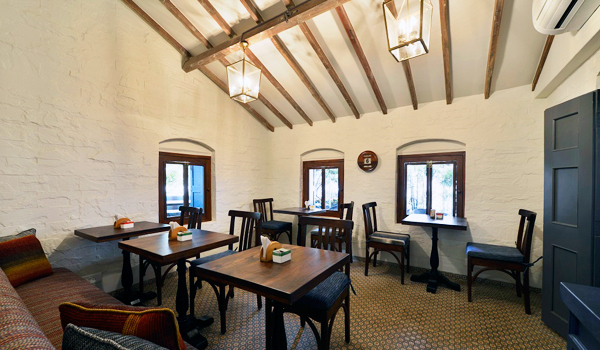 Designed by chef Lester Pereira, the Quiemada Menu is a celebration of Bandra’s culinary diversity. 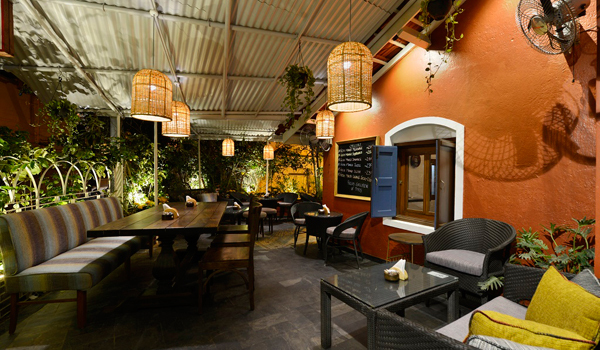 Featuring East Indian dishes – Bandra has a large population of East Indian immigrants – combined with Portuguese flavors, it’s a neighbourhood first. Adding a liberal dash of East Indian flavor to the menu, meanwhile, is ‘bottle masala,’ a classic spice mix whose recipe is passed down generation-to-generation and guarded jealously. Traditionally, the spices are roasted, pounded by hand and then stored in brown beer bottles to shade them from the sun – hence the name. 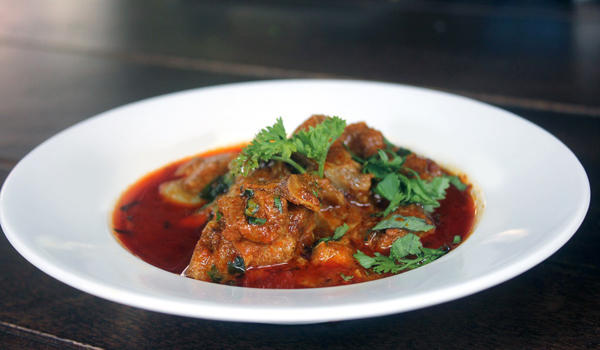 As Kably goes into raptures over his favorite dish – Beef Olives, which includes smoked bacon, diced potatoes, and carrots wrapped in an escalope of beef – Chef Lester Pereira also highlights the Mutton Khuddi, a dish of tender mutton cooked in aromatic spices and a roasted coconut gravy. “East Indian food looks spicy, but because we use Kashmiri chilli, it’s actually quite mild,” says the chef, so chilli-averse travelers shouldn’t be afraid to sample. Whether you’re craving the comfort foods of home or are looking to sample new Indian flavors, The Bagel Shop remains one of Mumbai’s most surprising and beloved eateries. Few other restaurants better symbolise the city’s intermingling of culinary traditions.